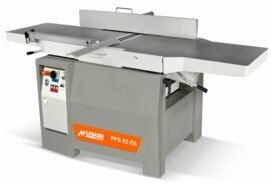 The PFS 30 and PFS 41 combined surface thickness/planers are very sturdy and of excellent construction quality. 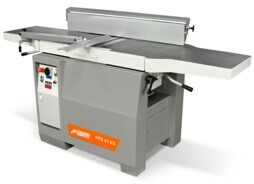 The PFS 41 ES combined surface/thickness planer has been desiged to satisfy the most demanding users and is characterized by its sturdiness and excellent construction quality. 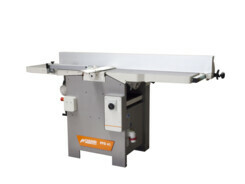 The PFS 52 ES combined surface/thickness planer has been desiged to satisfy the most demanding users and is characterized by its sturdiness and excellent construction quality. 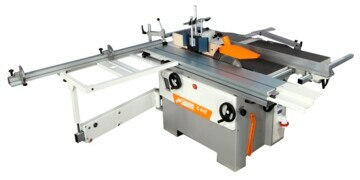 The TS 35 ES combined saw/spindle moulder has been designed to satisfy the most demanding customers. The universal combined machine models C 30 C - C 41 C are modern multi-function machines designed with the construction methods and technologies of professional machines.